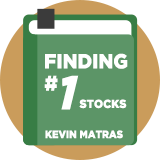 Large Cap Dividend Attraction is an income strategy discussed by Kevin Matras in his book, Finding Number 1 Stocks. It focuses on dividends paid by strong, large-cap companies with long track records of both earnings and dividend growth and where analysts are upgrading their earnings forecasts. This version of the strategy assesses 5-year dividend growth, Return on Equity, earnings per share growth and Price to Operating Cashflow. It also look for the highest percentage EPS upgrades over the past three months for the next financial year. Kevin Matras explains: "Larger companies with solid earnings, but without the aggressive growth rates that may have marked their earlier years, will often reward their investors by paying out a portion of their earnings as dividends." Kevin's backtesting found that his version of this strategy had an average annual compounded return of 20.6% (that's while taking on about 40% less risk than the S&P 500).